Finding hotels in Montego Bay Jamaica can be an overwhelming task but truly an essential one, if you plan on vacationing in this tourist paradise. 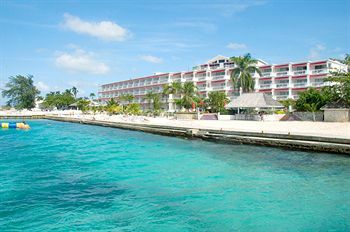 Montego Bay, the second largest city of Jamaica, is known as the alluring city of beaches and resorts. Hotels in Montego Bay Jamaica start from mid-range, yet sophisticated, lodging places up to executive suites for those willing to spend more. Share your favorite Montego Bay Hotel or Resort stories, ask questions or make comments about this topic. View other's stories. Two miles of coastline, with much of it edge with white-sandy beaches, is one of the grandest, classic and most appealing hotels in Jamaica. Situated about seven miles from Sangster International airport and a mile away from the Great Rose Hall Heritage Home, it is an all-inclusive stay at this 198 bedroom hotel that provide all the luxuries you desire. This elegant hotel offers a tranquil and relaxing environment with lavishing attractions like the two half-moon shaped beaches, world class resort, internet and voicemail services, dinning, bars, riding, tennis and bowling. With outstanding landscaping and an astounding number of swimming pools - around fifty-one, some of which are linked to individual villas. This is truly a luxury hideaway with undeniable taste and style. Read more about Half Moon Resort that I had the pleasure of staying at once. Being one of the oldest and most famous Sandals Royal Resort with a splendid beachfront where you and your better half can sparkle while sunning to your heart's content. This three floored resorts, only for adults and favored by honeymooners a lot, offer executive services to complement your Montego Bay stay. Everything is included at this all-inclusive resorts, with superb nightly entertainment, swimming and whirlpools, restaurants and bars, privately owned island and watersports, meals, snacks, all kinds of beverages, dining and free transfer service to and from the hotel. This four floored hotel is a dream vacation destination in Montego Bay Jamaica, with more than five hundred rooms is six miles from the international airport and sits on one of Montego Bay's edges. Prominent amenities include family and game rooms, electronic casio, fitness center, two swimming pools, a kid's pool, all kinds of watersports, nightclub, adults and children activity centers, internet access and whirlpool. You will appreciate this new sleek and modernized look of this hotel while staying in Jamaica. 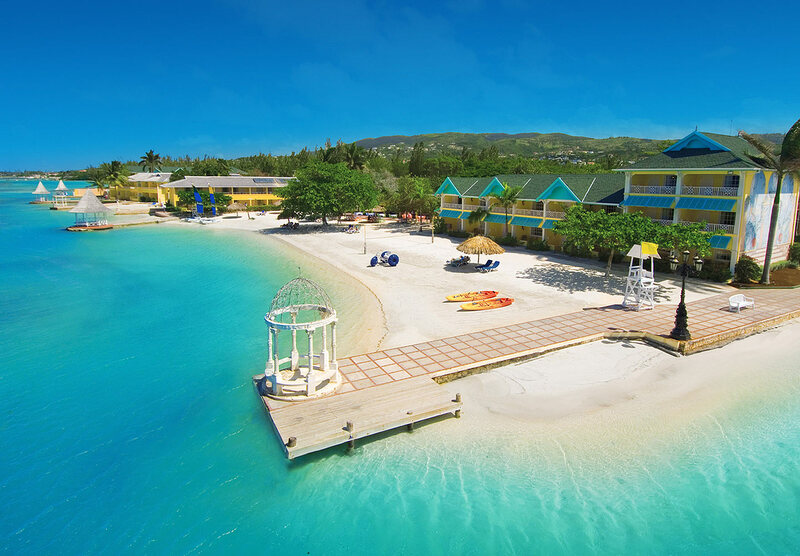 Previously named Sunset Beach Resort and Spa is now Sunscape Splash is an all-inclusive stay at this exquisite resort, with an onsite waterpark, located only three miles from the main Montego Bay area. They have one of the best beaches with soft white sand with hardly any stone. There is a section of their beach that has a clothing optional area for guests. If you are looking for an all-inclusive hotel at a good price range and near to the international airport, then this can be your perfect vacation spot. This hotel offers pools, buffet restaurants, bars and disco, beverages of your choice, air conditioned accommodation, European spa facilities and beautiful sights from your balcony. This one hundred and twenty-eight rooms all-inclusive hotel, is nestled on a private beach in Montego Bay and is just three miles away, a ten minutes drive, from the international airport. Royal Decameron is an excellent option for a mid-range budget vacation. Has all major facilities like air conditioned bedrooms, meals and snacks, alcoholic and non-alcoholic drinks, watersports and day and evening activities. You will also enjoy the white sandy beach, a gift shop and amazing swimming pools, all ensuring you an enjoyable and memorable stay in Montego Bay Jamaica. There are literally dozens of more elegantly furnished villas, resorts, guesthouses, suites and hotels in Montego Bay Jamaica that are not listed here, but are available for you to enjoy a Jamaica reggae music vacation at anytime of the year. So do your research on hotels in Montego Bay Jamaica, and plan your reggae music vacation beforehand and list all budgetary aspects to ensure the best experience while visiting one of the capitol of Jamaica. Hotels in Montego Bay Jamaica tries to outdo each other with an unique style, the latest activity or menu from some of the most famous world-class chefs? Do share your experience of one of these hotels.